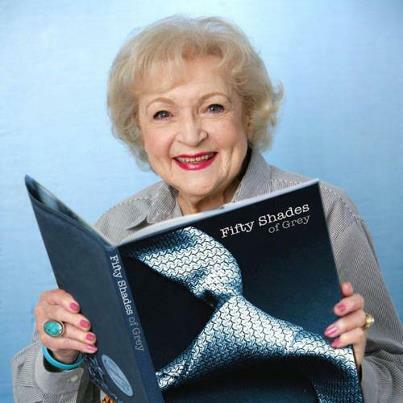 Betty White reads Fifty Shades too!. . Wallpaper and background images in the trilogi fifty shades club tagged: fifty shades of grey. This trilogi fifty shades photo contains laptop and komputer laptop.